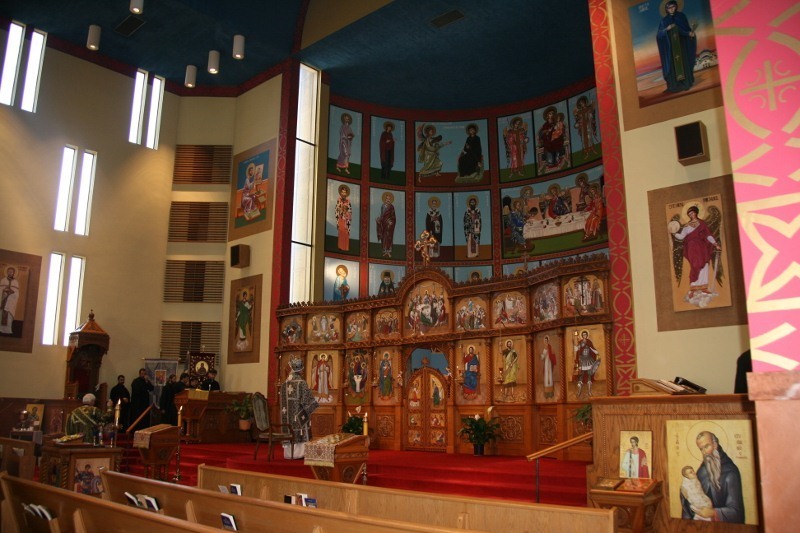 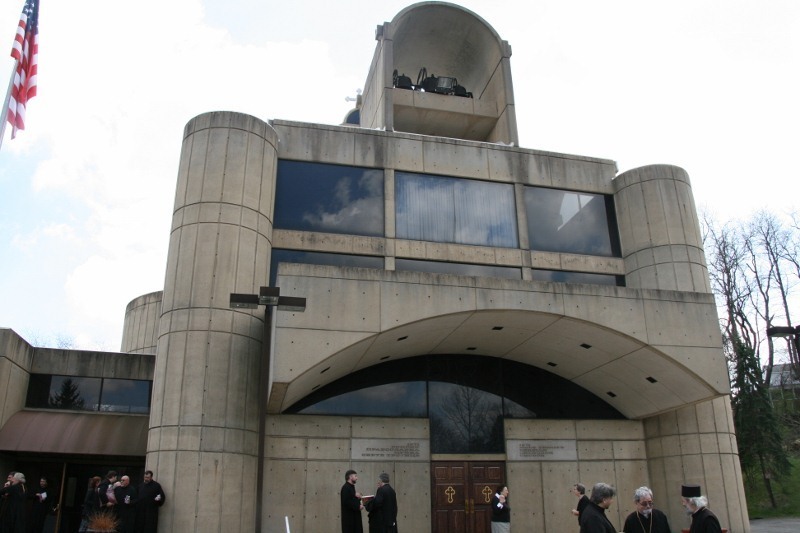 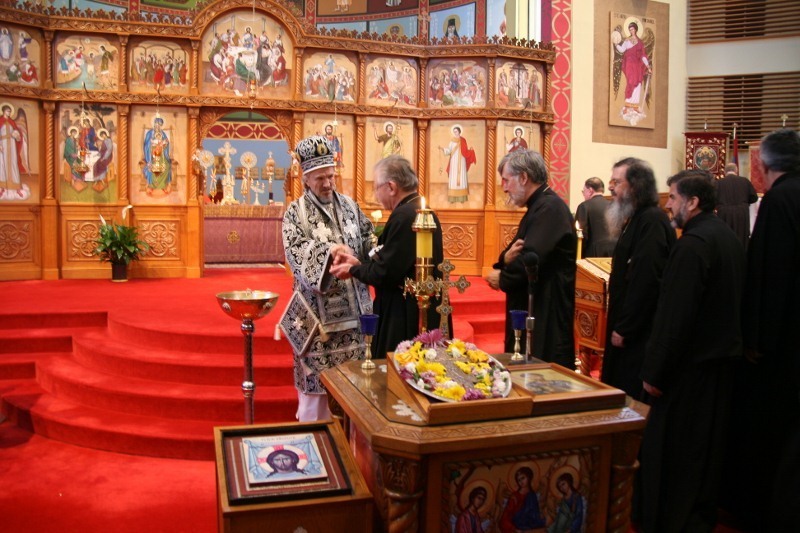 Pittsburgh, PA - With the blessings of His Grace Bishop Mitrophan of Eastern America clergy confession for Cleveland, Pittsburgh and Washington Deaneries was held on Wednesday, March 21, 2012 at Holy Trinity Serbian Orthodox Cathedral in Pittsburgh. 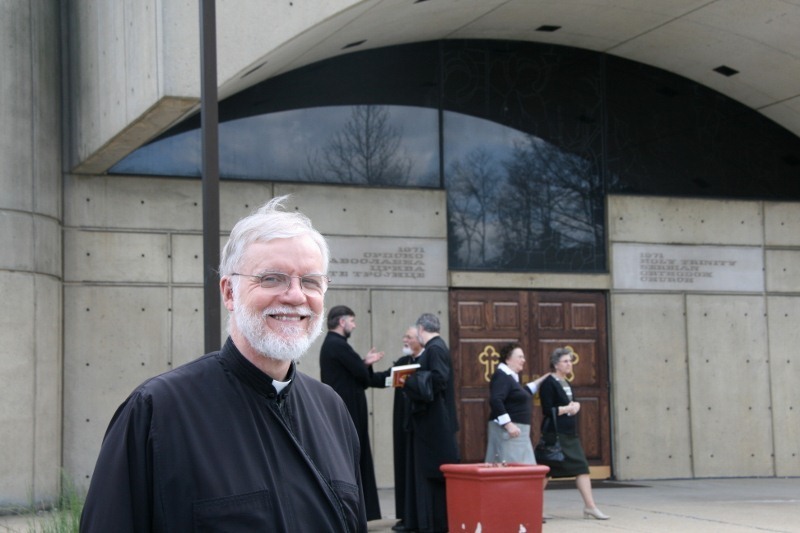 V. Rev. 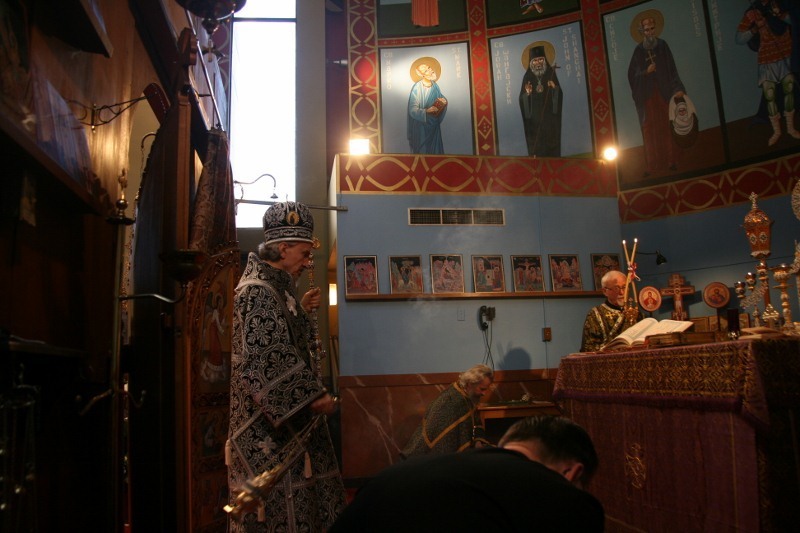 Stavrophor Rastko Trbuhovich served as father confessor. 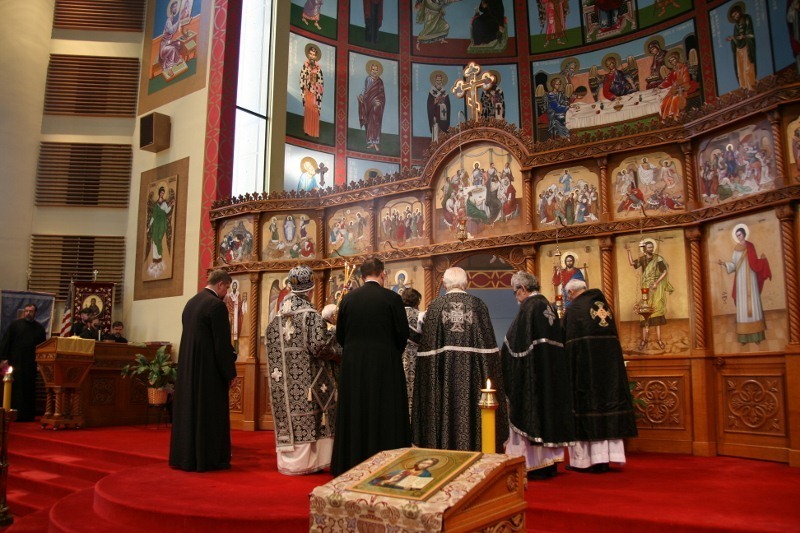 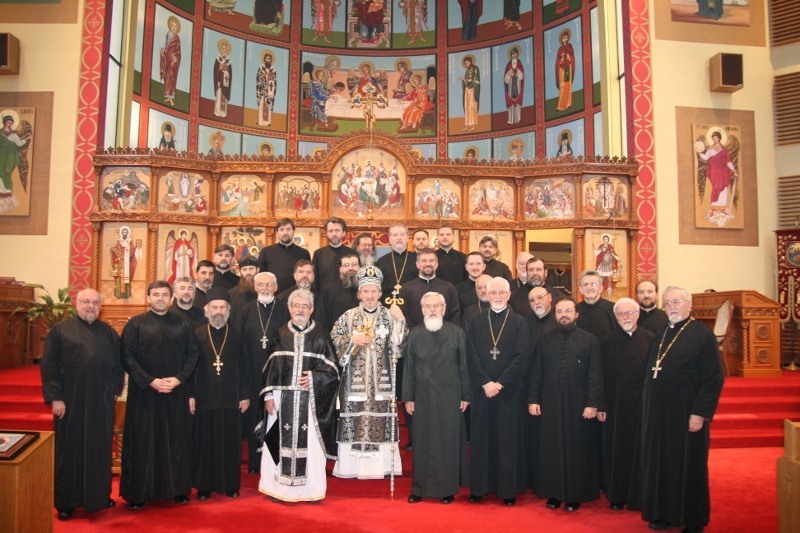 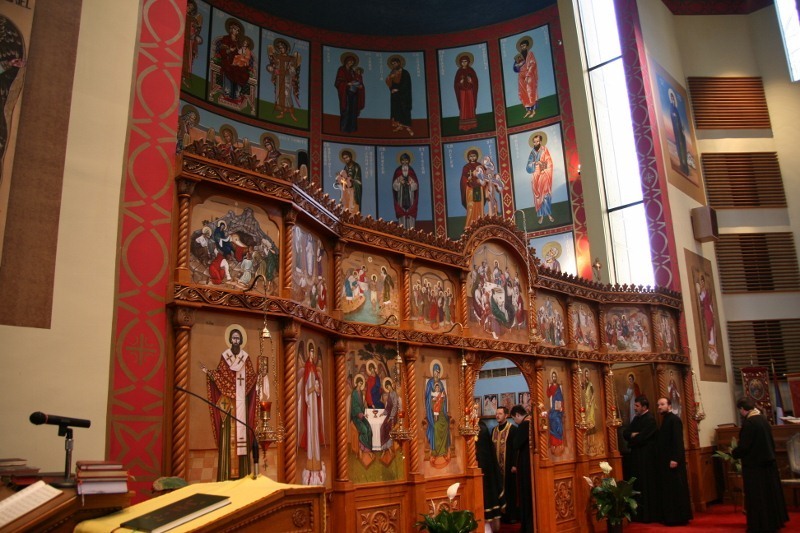 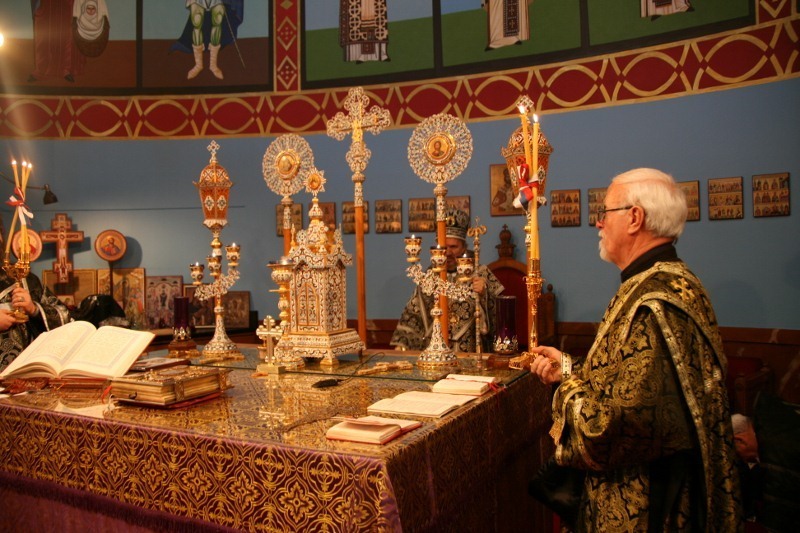 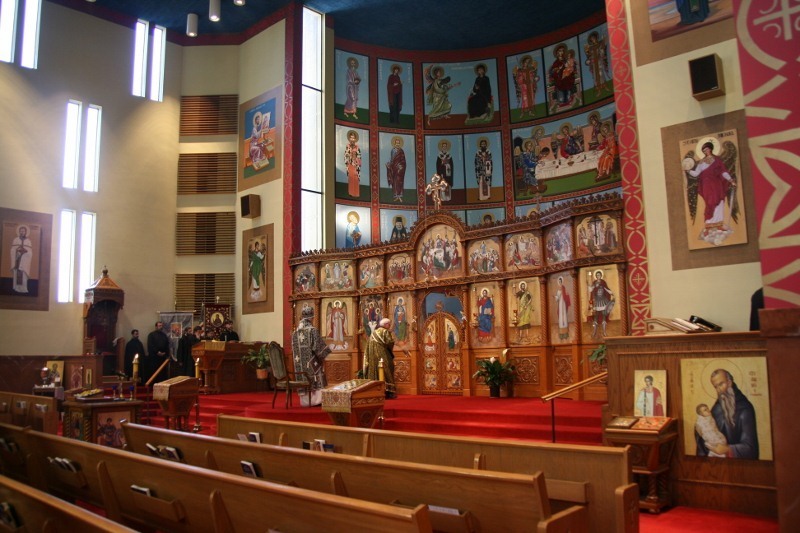 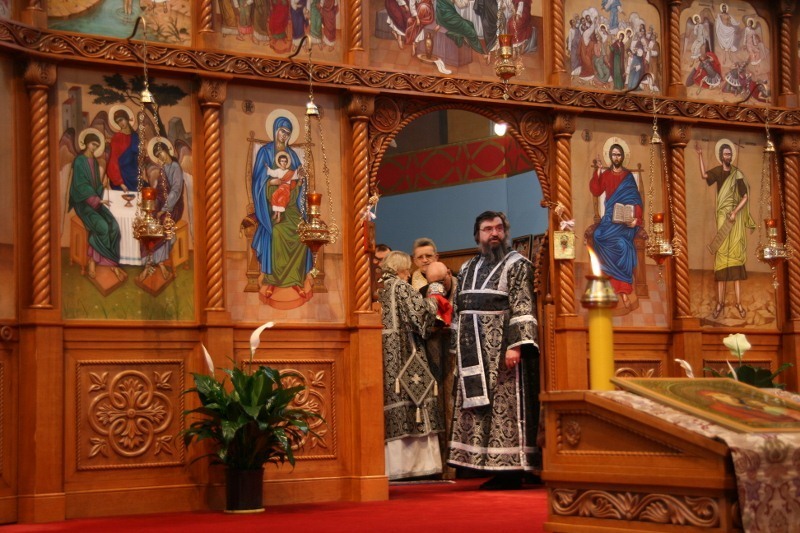 The holy Hierarchical Presanctified Liturgy was officiated by Bishop Mitrophan with the con-celebration of the deanery deans of the Pittsburgh, Cleveland and Washington Deaneries. 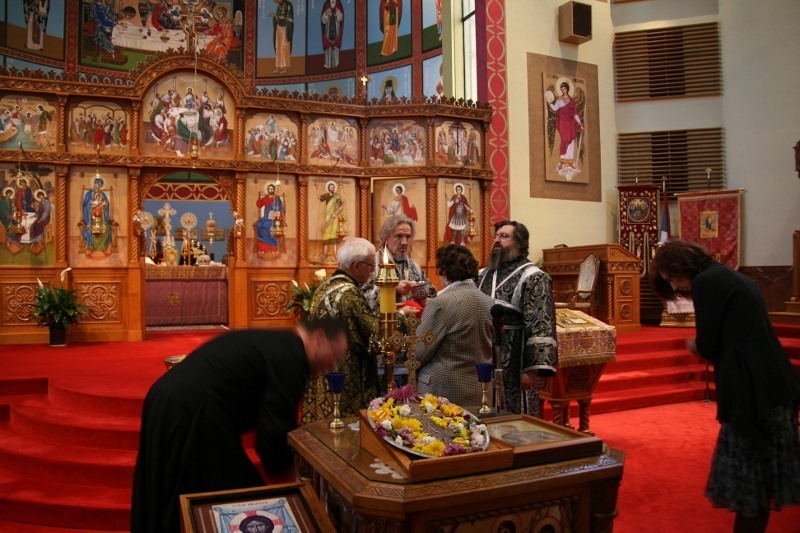 Additionally, V. Rev. 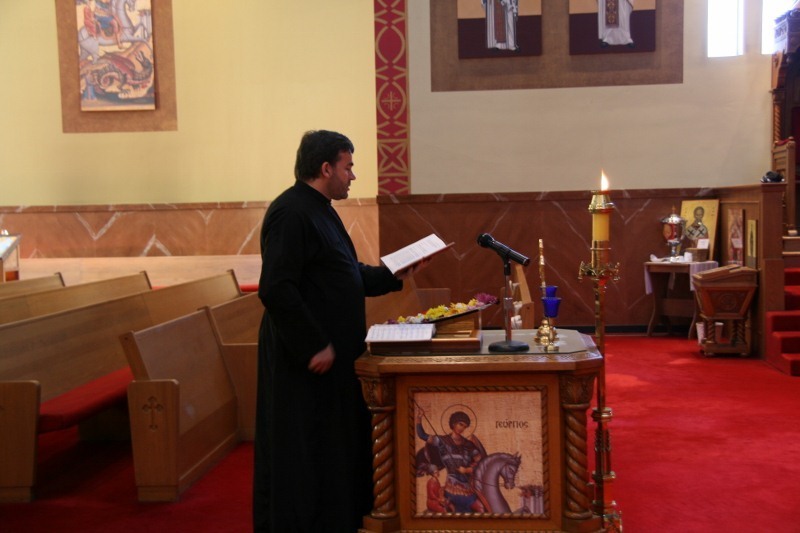 Achimandrite Leontije (Alavanja) of St. Mark's Monastery in Lorain also served. 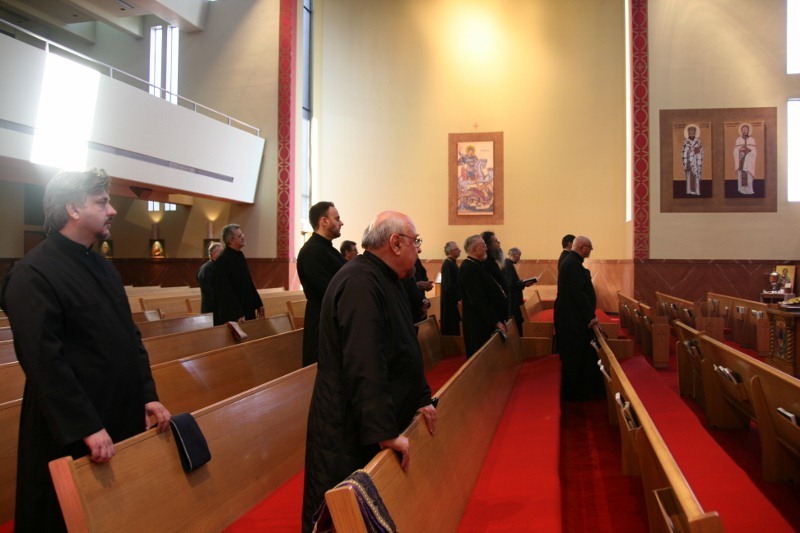 In his homily the bishop reminded the clergy that were present for the holy rite of confession that it is by the cross that we bear that Christ will recognize us. 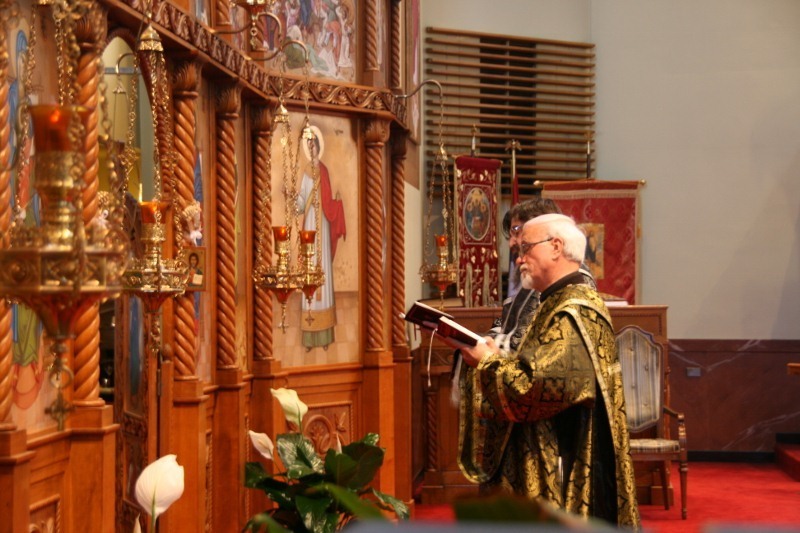 "The Lord bore His own Cross," the bishop reminded the clergy, "He did not seek another cross but bore His own. 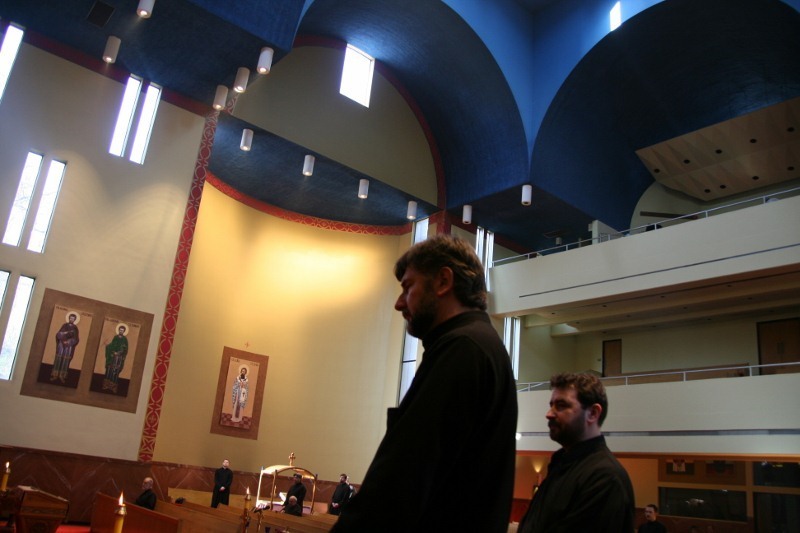 Similarly, we are called to bear our own cross."